When new players get introduced to Risk game websites and the classic strategy board game RISK, they usually get a deer-in-headlights look on their faces due to the depth and complexity involved. However, it need not be tough to learn and enjoy since RISK has been proven to be a board game that stands the test of time and gives players hours of fun and suspense with every game. With that in mind, you may want to check out some of these online resources to learn more about RISK and be able to fully enjoy it with your friends. Hasbro is the most popular in the list of all Risk game websites. Naturally, the first destination for anyone looking for information on RISK through the Internet is the official website of the publisher. The website still has a dedicated page to the classic RISK that includes basic information and places to buy the physical game from, and it also has a copy of the official manual to help you learn how to play the game. However, you may have to use the search function in order to find the page itself and you may find the included information rather sparse and the manual itself requires a bit more digging to find. But if you are looking to buy the game yet are not sure where, then this page should lead you to the right direction. Pogo is a free online gaming website that lets people play games like RISK right on the website. This means you can learn how to play the game on the fly, even if you’re just by yourself. As long as you have a computer and a good enough Internet connection, then this option should be available to you. Aside from the game itself, there are also guides on how to play RISK, various tips and tricks on how to play better, and a forum where you and other users can discuss the game. If you are looking to learn how to play RISK, but don’t have the board game or have no one around to play with yet, then this is the next best thing. 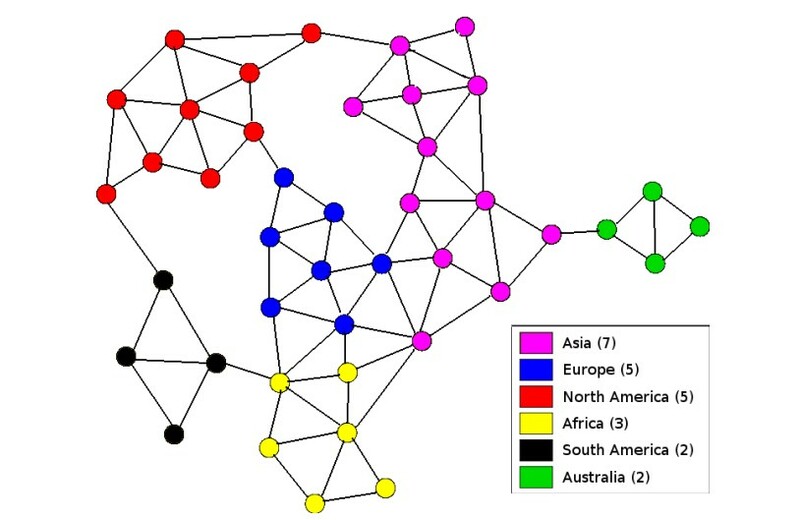 Perhaps one of the most readily available online resources for just about anything under the sun, Reddit is full of different communities who have set up their presence through the site, and RISK is no different. 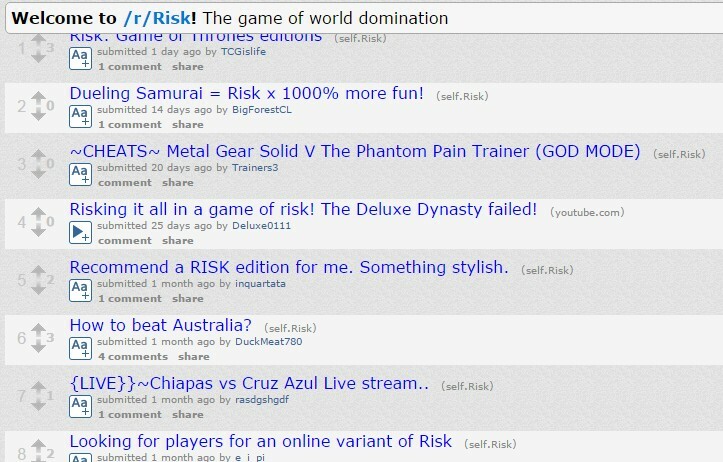 The RISK subreddit is recommended for those who have any questions regarding the game and its many variants. 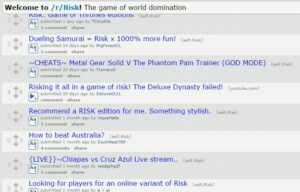 If you are a fan of a particular variant of RISK, then someone may have created a separate subreddit for it if it is popular enough. But as far as classic RISK game, in general, goes, the official RISK subreddit should be the online community hub you are looking for, where you can ask questions, help other players, and discuss with other avid players from all around the world. This website is a top online resource for board game players, containing tons of guides and FAQs on just about every board game you can think of. 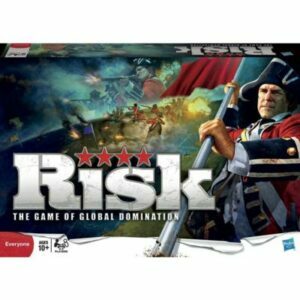 RISK is no exception, whether it is the classic game or its many variants. If you are interested in board games other than RISK, then this website has FAQs on a whole lot of them as well. The RISK Legacy FAQ on the website is quite comprehensive and should be able to answer most questions you may have about the game. It also has links to other Q&A threads on more in-depth topics, as well as citations for just about every point made in the FAQ itself, just in case you want to be sure that everything is sourced well. It also has a link to the aforementioned official manual from Hasbro (the most popular in the list of all Risk game websites), so you can just get to it from there. There is also a link to a German manual, just in case that is your first language. As for the FAQ itself, it is well-outlined and full of information and answers to specific questions that they asked all the time by novice and intermediate players. 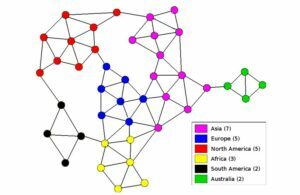 If you want some supplementary reference and get into the more advanced aspects of RISK gameplay and strategy, then maybe you should check out this paper available on the Massachusetts Institute of Technology’s website called “The Strategy of Risk”. It delves into the inner workings of the game, how to take advantage of them, and other in-depth information on the game. Mind you, this is pretty much an academic paper, so you may want to hunker down and read it carefully if you really want to understand it. This is perhaps for those who are really serious with RISK and would like to know a bit more about the game. For those who are interested, you can find this PDF file through your favorite search engine.